You name it, and a pet has probably eaten it. Here at BluePearl, we regularly see pups who have swallowed everything from spoons to pacifiers to fish hooks. Cats seem to prefer hair ties and ribbons. 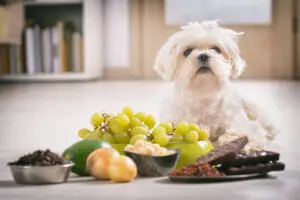 While those items clearly aren’t meant to be consumed, there are a host of other items that can harm your pet that many people don’t know about. And some of them are hiding in plain sight. For example, we had a reader write to us with a concern about a treat she had been feeding her dog as a reward for doing his business outside. After about two weeks, she noticed her dog had become very gassy and developed a slight case of diarrhea. Searching for the source of the problem, our reader checked the ingredients on the bag of treats. To her surprise, garlic powder was included on the list. Garlic and other members of the allium family, including onions, contain thiosulfate, which is toxic to dogs. The astute reader stopped feeding her dog the treats and the problem was resolved. I was saddened to hear of this but not entirely surprised. Some treat manufacturers do include small amounts of onion or garlic powder, which is often minute enough not to cause harm. However, some animals are more sensitive to these ingredients than others. That’s why it’s a good idea to always read the ingredient list before feeding anything to your pet. 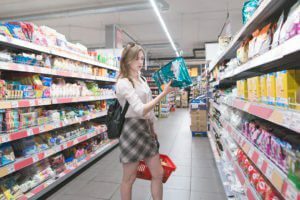 Another one that is particularly dangerous and is becoming increasingly common is xylitol, a chemical sweetener found in sugar-free gums, cookies and candies. The substance, which is extremely toxic to pets, is also used for baking and can even be found in some peanut butters. If your pet consumes any of these substances or you suspect other poisoning, seek veterinary care at your closest animal hospital. You can also call the ASPCA’s Animal Poison Control number at 888.426.4435. For other resources on pet toxins, see our articles on Garden Dangers for Dogs, Chocolate Ingestion, The Dangers of Mushrooms and Holiday Dangers for Dogs. Thanks to everyone for reading! I’ll talk to you again next month.